It has been said that there is no loneliness like the loneliness of age. Humans are deeply social animals, yet we tend to form our social groups only at certain times and venues over a lifespan. We may not think of school, college, and our workplaces as the structures of our social worlds, yet they are the places where we spend time with people whom we otherwise might not meet, and whom we see every day. Shared proximity often leads to friendships with those whose company we enjoy. But for seniors, especially those who are coping with limitations on health, mobility, and energy, such social opportunities are no longer built into life’s daily fabric. Long-time friends may move away, or pass away. Extended family is likely to be scattered all over. There may seem to be less and less to say to younger adults, whose lives are taking place in an era different in so many ways from their own, and whose priorities and interests are unfamiliar and perhaps alienating. For LGBTQ seniors, these barriers may be only the beginning. Many of us have few, or no, biological family members in our lives. Close friends are aging at the same rate we are, with the same struggles. LGBTQ people are more likely to live in poverty than heterosexual peers, as a result of lifelong discrimination in education and jobs, resulting poorer health, and—until extremely recently—lack of access to the financial benefits and safety nets that come with marriage. On top of this, most, if not all, LGBTQ seniors have spent part (or all) of their lives in the closet. Persecution of LGBTQ people—while by no means a thing of the past—is no longer a universal social reality; but for many of us who are 50 and older, it was universal back when, and it remains one of the most formative aspects of our identities. Yet despite all these obstacles, LGBTQ people have always created and maintained our communities. Now, as a large cohort of us is aging, community becomes important in new ways, and we are building alternatives to the isolation and loneliness that age can bring. 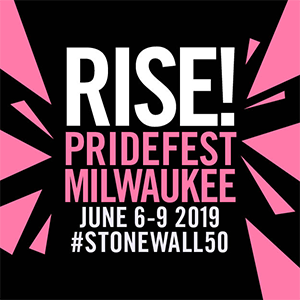 OutReach has long partnered with our allies at the Madison Senior Center to house and maintain groups and activities specifically for LGBTQ seniors. In addition, there are groups that have nothing to do with either organization, and are organized by LGBTQ individuals throughout the community. Group activities range from general discussions, to focused, planned topics, to plain old socializing and getting to know new people and catching up on everyone’s news. Most of these groups have been in existence for many years. All of the groups listed below welcome new people. 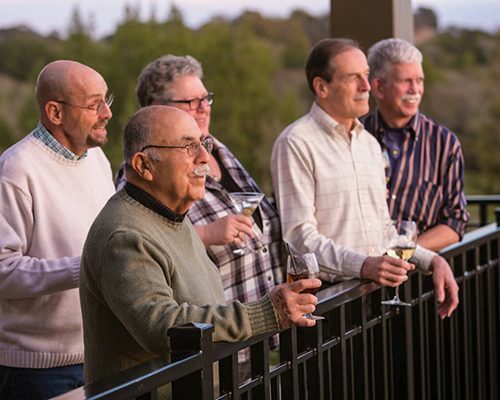 With isolation a significant problem among LGBTQ elders, these groups offer a way to make connections with peers, learn from others, offer ideas, thoughts, and stories, and build new friendships. 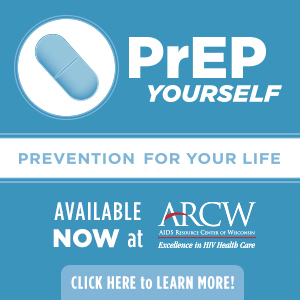 The two groups that are offspring of the LGBT Senior Alliance, a decades-long partnership between OutReach and the Madison Senior Center, are the Gay, Gray and Beyond Discussion Group, and the Exploring Spirituality group. Both welcome all LGBTQ-identified elders. Two more are longtime social groups for lesbian and gay retirees that are not connected with OutReach: ROLLers (Retired Older Lesbians Lunch) and the Retired Gay Men’s Lunch Group. • ROLLers meets the third Tuesday of each month at Noon at Elie’s Family Restaurant (4102 Monona Drive) in Madison. • The Retired Gay Men’s Lunch group meets on the third Wednesday of each month, also at Noon and at Elie’s Family Restaurant. • The Gay, Grey & Beyond Discussion Group meets bimonthly on the second and fourth Thursdays of each month from 1:00 to 3:00 p.m. at the Madison Senior Center, 330 W. Mifflin St., Madison, in the Crafts Room on the 2nd floor. • Exploring Spirituality meets bimonthly on the first and third Thursdays of each month, from 1:00 to 3:00 p.m. at OutReach, 2701 International Lane, Suite 101, Madison. Although OutReach is no longer downtown, the Number 20 bus stops right in front of the driveway to the new building.